Three are dead. Who is Number Four? From director D.J. Caruso (Disturbia) and producer Michael Bay (Transformers), comes this gripping, action-packed thriller. 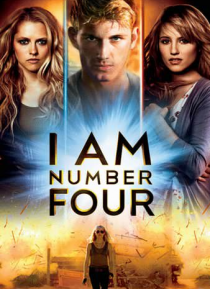 John Smith (Alex Pettyfer) is an extraordinary teen masking his true identity to elude a deadly enemy sent to destroy him. Living with his guardian (Timothy Olyphant) in the small town he now calls home, John encounters unexpected, life-cha… nging events his first love (Dianna Agron, TVs Glee), powerful new abilities and a secret connection to the others who share his incredible destiny.